Even though indoor drones are becoming more and more popular, they will not be the focus of our story today. No! Today, we are going to take a look at the best outdoor drones that have their own dedicated camera. You must be thinking – well there’s a whole lot of drones that fit this exact description. Well, technically you are correct! There is a huge number of outdoor camera drones but not all of them are worth the money. As a matter of fact, only few of them provide good bang for the bucks. Want to know which ones? Well, continue reading because, after a few informative paragraphs, I am going to show you the 5 best outdoor drones with camera that are currently available for purchase! Photo Captured By Autel Robotics X-Star Premium drone. What is the difference between outdoor and indoor drones? First of all, there is nothing that could represent a concrete distance between outdoor and indoor models. The differences are much subtler and are generally perceived on a person-to-person fashion. I, for example, consider indoor drones to be smaller and generally more agile than their outdoor counterparts. They don’t need a lot of range but do need a good battery. Prop guards are a must have as well – they effectively protect the drone from small collisions… and trust me, there are going to be many of those. Camera is not a must since you don’t really have much to record indoor (unless you’re living in a penthouse), plus you will have your eyes directly on your drone at all time so there’s no need for FPV either. When it comes to outdoor drones, I always strive for a good camera and an amazing spec sheet. Drones with GPS and smart flight modes are a no-brainer for me to the point that I couldn’t even imagine flying a drone without them. What should you look for when buying an outdoor drone? 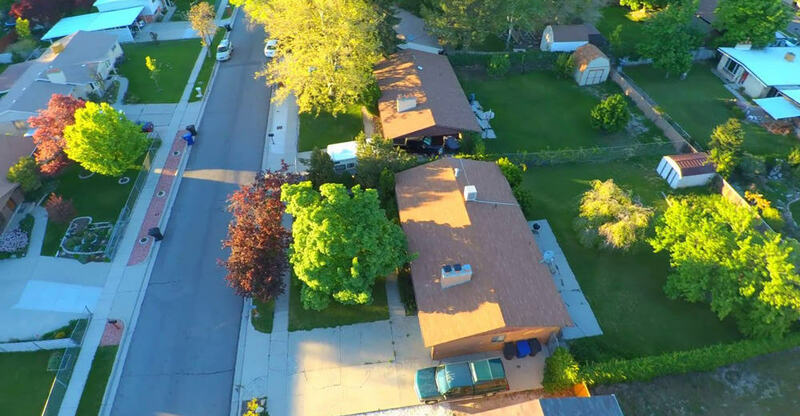 As I have already mentioned, the first thing you need to look for when purchasing an outdoor drone is the camera quality. Nowadays, there’s a sheer abundance of drone models available on the market, and many of them have cameras of questionable quality. That’s why it’s always a good idea to do a little research on the type of camera your potential drone comes equipped with. Visit buyers’ forums as well since they are usually the best critics. The second thing is flight range/duration. These 2 specifications are of utmost importance if you want a solid, all-around outdoor drone experience. GPS, Auto return to home and obstacle avoidance systems are welcome additions although I doubt many of you would use them on a regular basis. Last but not least, if you are a beginner, it might be a good idea to go with a drone that incorporates landing gear as it makes landings much more forgiving than usual. What sort of video quality can you expect? Of course, I don’t need to remind you that this heavily depends on your drone’s camera. Still, I will do my best to portray some of the key aspects and characteristics of modern-day drone photography. Believe it or not, drones are capable of effectively carrying professional photography equipment. In addition to that, the mainstream high-end models already come with professional-grade cameras straight out of the box. Take Inspire 2 as an example – it sports a camera that shoots in 5.2K. Find a couple of videos shot by this beast of a drone and you will be amazed by the quality. So, what I am basically trying to say here is that you should set your bar high in terms of image quality… if you are aiming at the top end of the market at least. On the other hand, if you are aiming at the middle, you can still expect better footage quality than, for example, you’d have with your smartphone. Drone cameras have come a long way during the course of last 2 years, that goes without any doubts. When it comes to FAA regulations, it is safe to say they’re trying to keep the complication at the very minimum. That’s why, for the sake of keeping this article clean, I am going to briefly explain your rights (and boundaries) as a causal drone pilot. First off, you need to register your drone via the FAA’s official website. After that, you will need to print out your Drone’s serial number and stick it somewhere on a visible location (on your drone of course). Once you are done with that, you are pretty much good to go. Still, keep in mind that you have to be below 400 feet at all time. If you happen to go over it, you could be charged with disobeying the federal UAV regulations. In addition to that, FAA denies you to fly BVLOS (beyond visual line of sight) although you probably won’t end up with any issues if you fly BVLOS in extremely lonesome places or during nighttime when there’s nobody in your surrounding area. 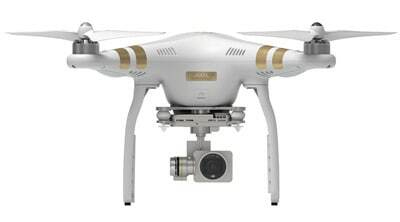 We are starting off with the Professional version of DJI Phantom 3. This particular model is great for outdoor because it comes with a complete package. By that, I mean it has everything you might wish from an outdoor drone. GPS, smart flight features, landing gear and all that good stuff. Specifications are unearthly as well. Believe it or not, DJI Phantom 3 can reach 3 kilometers (Other long range drones can be found here) with ease and even go beyond that if weather conditions allow it. Regarding flight time, DJI Phantom 3 Pro can fly for around 22 minutes on average – that should be enough for most of your desires. Moving forward, probably the best thing about this beast is its wide array of smart flight modes that, in combination with the provided 4K camera, create amazing (professional-grade) footage. Judging by the fact P3 is a old generation device, the price of it is rather modest. So, for all of you who are looking for professional grade camera quality and you’re not willing to spend your entire paycheck on the new P4, DJI Phantom 3 could be the middle ground! This drone might not be the most popular one, but it sure as hell has a couple of advantages over other, similarly priced ones. For instance, it is powered by 2 1Ghz mini computers that allow it bragging rights as the world’s first smart drone. Likewise, it incorporates more than few smart flight modes such as Orbit, Follow Me, Cable Cam and Selfie mode. The latter is surely going to be of huge value to all you Instagram stars out there. When it comes to the camera quality, you’ll be surprised to see 3DR Solo doesn’t come with one. Instead, you are free to pick one out for yourself since it supports GoPro Hero3+ and Hero4 action cameras. What’s even better is its gimbal (unfortunately it does not come with the package so you’ll have to purchase it separately) that enables full image stabilization. 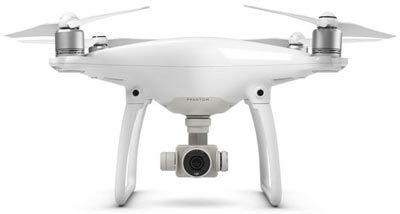 DJI Phantom 4 is undoubtedly one of the best current generation drones out there. With a seriously sick set of hardware inside paired up with a ridiculous number of sensors, it’s safe to say the folks over at DJI really did think of everything when making the P4. In terms of performance, DJI is known to provide with only the best of the bunch. That’s why it is not surprising to see a flight time of 25 minutes and seamless range of up to 7 kilometers. That’s pretty impressive, right? Well, that is not all P4 has to offer. For instance, did you know this little fella comes with obstacle avoidance sensors on all 4 sides for the ultimate on-the-fly safety? Yup, safety measures are one of the biggest focus points for P4 and DJI have done it extraordinarily. However, I do not plan on boring you to death with safety upgrades. Nope. Instead, I would like to tell you more about the camera upgrades. You see, P4 comes with a f/2.8 lens with a wide field of view and 12MP sensor. This effectively gives you 4K x 3K image resolution and crystal clear 4K footage at smooth 30FPS. Of course, in lower resolutions FPS is increased and can go all the way up to 120 where slow-motion footage becomes available. The gimbal is a crucial part of P4’s camera system and it does its job of stabilizing images and videos without any issues at all. All things considered, Phantom 4 is an outstanding drone that shines across all departments… but (unfortunately) has a price to match its performance. At the second spot, we have a heavily underrated model coming from the labs of Autel Robotics. Their X-Star Premium drone has everything a high-end drone should have and all for a reasonable price tag. Despite that, it still isn’t nearly as popular as other similar drones such as Yuneec Typhoon H or any one from DJI’s current lineup. Why is that so? Well, the lack of proper advertisement (by proper I mean with the right channels) is an obvious culprit so I honestly hope Autel Robotics will make it up in the near future. 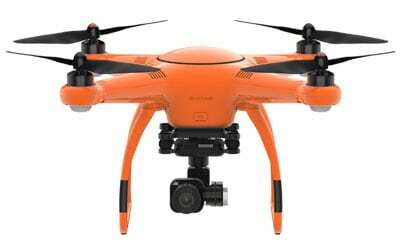 When it comes to the drone itself, it sports an excellent 4K camera mounted on a quick-release 3-axis motorized gimbal. It sports HD FPV up to 2 kilometers (it works well with FPV goggles too! )and, of course, all sorts of smart flight modes. In addition to all that, it also has built-in navigation systems in the form of both GLONASS and GPS, making sure you have pinpoint location precision no matter the latitude. Flight time is nothing short of brilliant either – it usually ranges around 20-25 minutes which is roughly the standard flight time of high-end drones. All in all, it really is a shame to see such a good drone going completely under the radar. It’s well worth the money so, if you’re going for pure performance and not a brand name, Autel Robotics X-Star Premium is the one you should go for! The icing on the cake is definitely DJI Mavic Pro. In my honest opinion, Mavic Pro is the best drone that is currently available on the market. And I mean that in every possible way! Why am I so in love with this small piece of UAV gadgetry? Well, it does everything a P4 can do but packs it into an amazingly small package. It’s travel-friendly and incorporates a state-of-the-art camera that’s capable of recording in 4K at 30FPS. Lower the resolution and you’ll get a silk smooth 60FPS with no strings attached. In terms of specifications, it becomes 100% clear that Mavic Pro is a force to be reckoned with; not only in the foldable drones market but generally as well. With a range that goes up to 7 kilometers and a battery that can hold up to 27 minutes in the air, drones that can be compared to it can be counted with fingers on one hand. Combine all of the above with a ridiculous number of smart features including the ever-so-popular ActiveTrack + TapFly and you will begin to understand Mavic Pro’s perfection. However, perfection costs money so do not be surprised when you see the price of the entire package. And here we are guys, at the very end of this article. Given the fact that I told you pretty much everything related to outdoor drones with camera, I feel like there’s nothing more to discuss. With that being out there on the table, I would like to take this chance to thank you for visiting our website and reading this article, with the hope that it provided you with relevant insights about the topic.